I am sure most Singaporeans are not unfamiliarity with Din Tai Fung, a Taiwan restaurant chain famous for its xiaolongbao. Din Tai Fung gained international recognition when it was named one of the Top Ten Restaurants in the World by The New York Times in 1993 and subsequently the Silvercord Branch in Tsim Sha Tsui, Hong Kong was awarded one Michelin Star by the Hong Kong and Macau 2010 edition of the Michelin Guide. Din Tai Fung has been my family’s favourite “go-to” restaurant whenever we are in need of a place for celebration or simply a good meal. 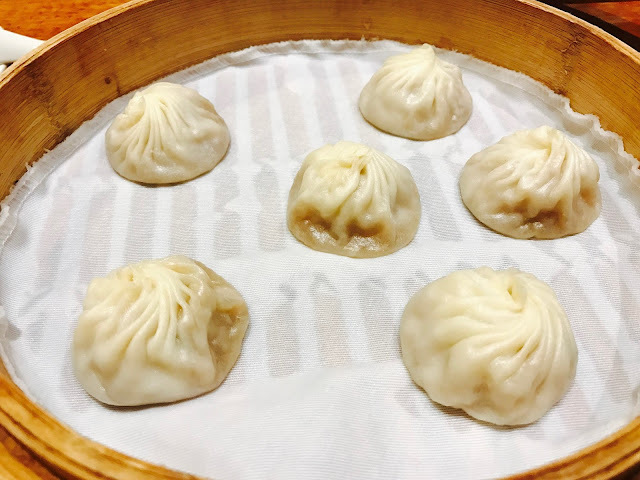 Din Tai Fung’s attention to the smallest details and the consistent quality of food surprises us, so I was a little sad with the slightly-low standard of food at the Raffles Place outlet. 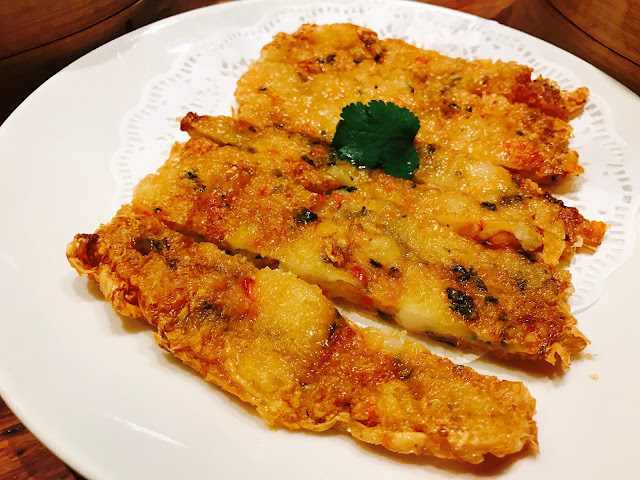 Crispy Golden Prawn Pancake was recommended by a friend and I have not regretted trying it. Minced pork and prawns are minced into a fine paste which is then wrapped in tofu skin and deep-fried till golden. The sweetness of the prawns and minced pork makes this a great appetiser to start your meal. This is the famous Steamed Pork Dumplings. The thin skin magically manages to hold in the soup and filing together, filling your mouth with a burst of flavours when you bite through the skin. 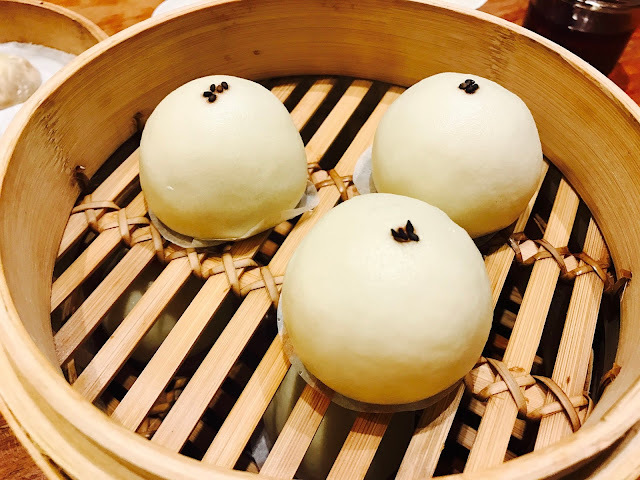 Steamed Sesame Buns is not something easily found outside as good-quality sesame is hard to find and expensive. Din Tai Fung makes their own sesame paste which is fragrant and naturally sweet. However, the buns at the Raffles City outlet does not seem to be as fragrant as the ones I had at Suntec City and JEM outlets. 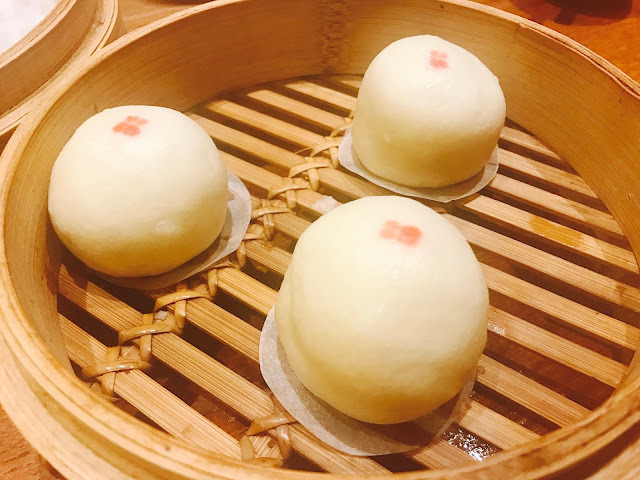 Steamed Red Bean Buns is a traditional Chinese snack that is readily available throughout Singapore, but I like that Din Tai Fung’s red bean paste is handmade with no added sugar so it is not as sweet. Fried Rice with Eggs has been my favourite fried rice for quite a few years now. It amazes me how Din Tai Fung can make such a simple dish taste so flavorful. 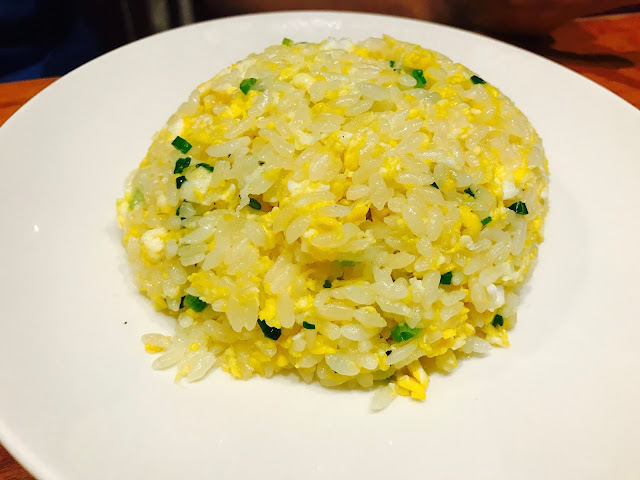 Each grain of rice is wrapped with egg and yet the fried rice does not taste oily at all. This is one of my must-order dishes whenever I am at Din Tai Fung. 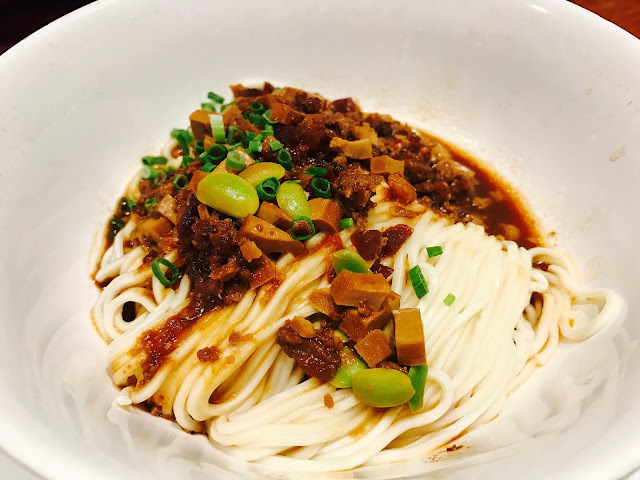 Noodle with Minced Pork in Bean Sauce is one of the most popular Chinese noodles with adaptation by Korea where it is known as jjajangmyeon. 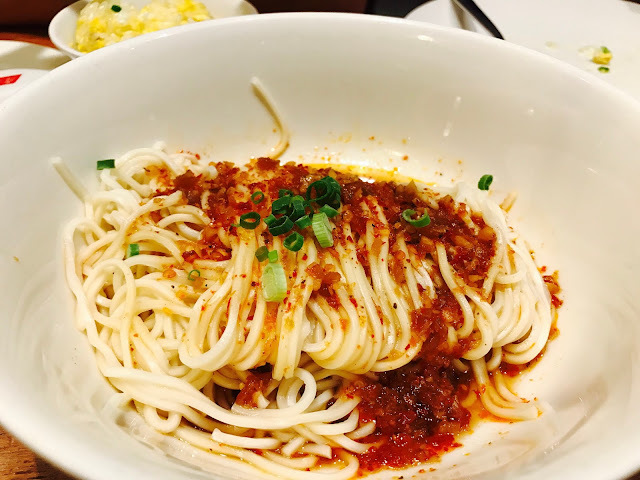 I personally find the minced pork in bean sauce a little too salty for my liking and the noodles are a little soft, but it is all in all still a delicious bowl of noodles. The noodles in Noodle with Spicy Sauce are also a little soggy. This noodle dish may look simple and a little boring, but the depth of flavour in the spicy sauce will leave a lasting impression. 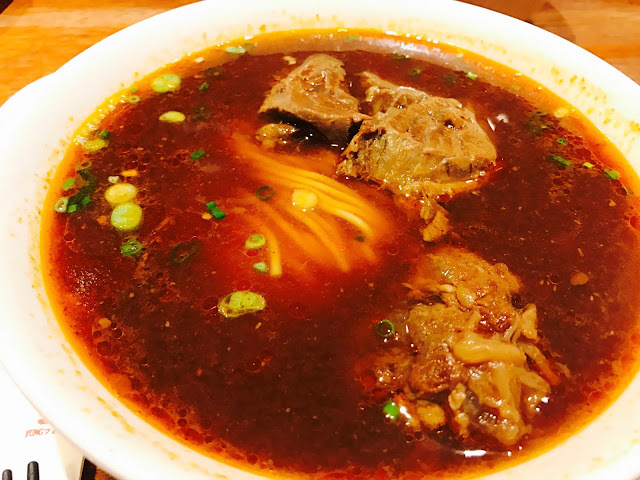 Special Braised Beef Noodle Soup with Beef Brisket is my favourite of all soup noodles served at Din Tai Fung but the noodles are a little soggy this time. The beef briskets are still as tender and chewy as ever. I would not have known that this dish is Stir-Fried Spinach with Garlic if I was not the one who ordered it. There’s barely a trace of garlic in the dish and the spinach taste more like they are boiled instead of stir-fried. 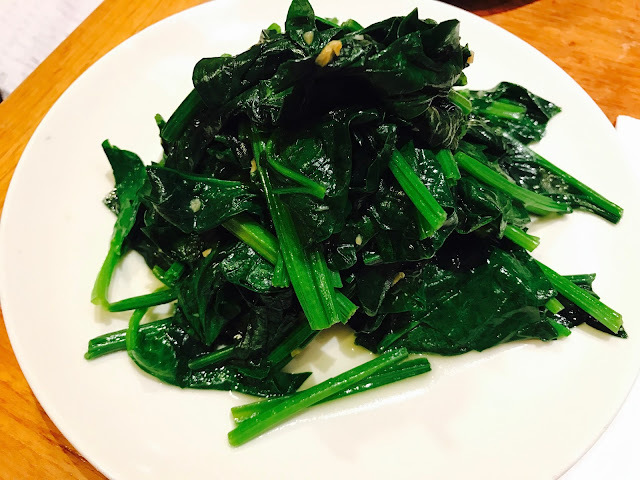 An alternative to this dish is Stir-Fried Kailan with Garlic which I had at another outlet. The crispy kailan is presented in a neat row, dressed with chopped garlic that is fried till golden-brown. 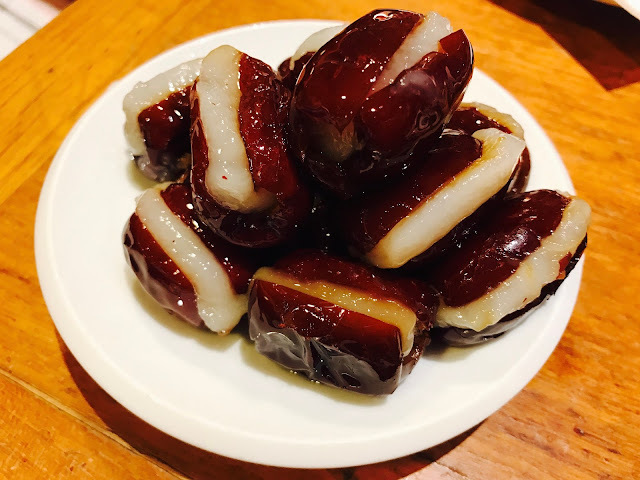 Red Dates with Glutinous Rice is my father’s new favourite dessert at Din Tai Fung. Big red dates are soaked and pitted before being filled with sweet glutinous rice. I find it a little too sweet for my taste but those with a sweet tooth should enjoy it. They call it Sweet Chinese Delicacy here, but it is more commonly known as Eight-Treasure Rice. 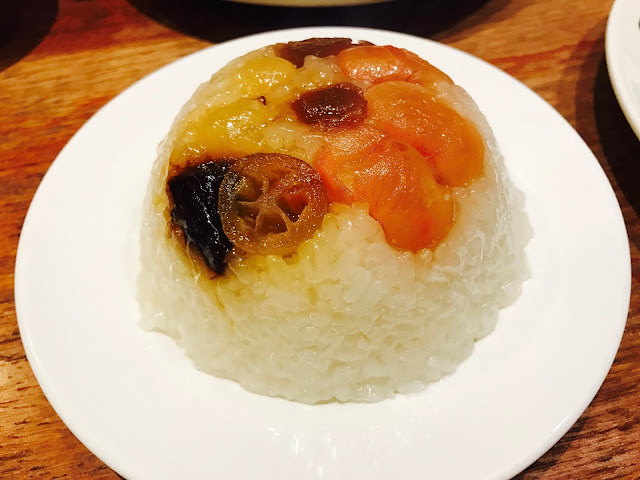 Rice is swapped with glutinous rice, making this into a sweet dessert with pickled fruits. Be prepared to wait for 20-30 minutes for this dish. I sincerely hope that this is a one-off incident, but I do think the Raffles City outlet should look into the quality of the food they are serving and make sure that they are of the same gold standard that Din Tai Fung is known for. As the saying goes “one rotten apple spoils the barrel”, I hope this problem can be addressed as soon as possible so that Din Tai Fung does not lose their customers. Addresses and telephone numbers of all outlets in Singapore and Thailand can be found here.